BSU Post Direct Entry Form – The management of the Benue State University, Makurdi (BSUM), is now selling its post Direct Entry (DE) screening application forms for the 2018/2019 academic session. Applications are invited from suitably qualified Direct Entry candidates for admission into the Benue State University, Makurdi (BSUM) degree programmes for the 2018/2019 academic session. Registration for the screening exercise for all Direct Entry candidates is scheduled to hold from Monday, 29th October, to Monday, 5th November, 2018. The screening exercise for Direct Entry candidates shall commence from Tuesday, 6th – Friday, 9th November, 2018. The venue for the 2018/2019 Direct Entry screening exercise is Auditorium 1 on Western Campus by 10:00am daily. How to Apply for BSUM Direct Entry Screening. Click on the “Pay Online” button, you will be taken to Interswitch Payment Page. From the drop down below the page, select your card type and enter the requested information to make Payment. Once your payment is completed successfully, a receipt will be issued and you can continue with your application. (II). For cash payments at Bank; Visit any of the following Bank Branches nation-wide to make payment. * Return to the portal and print out a payment receipt. Enter your DIRECT ENTRY Registration number and click “Verify” button to log in. Register and upload credentials online for the Direct Entry screening exercise. * WAEC/NECO/NABTEB and A’ level Certificates or statement of results (not online slips). * Certificate of State Origin. 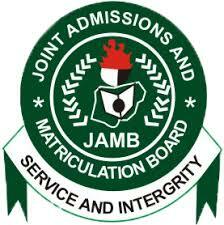 * JAMB Direct Entry slip. Click on “Acknowledgement Slip” link to print and submit to Faculty Officer of your faculty for signing and documentation.